Can you ‘spot’ the difference between this colourful character and a work of art? We bet you can’t! 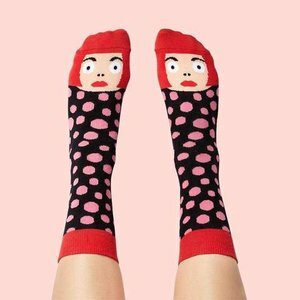 Pull on this hole-less pair of art socks and get ready to give the performance of your life. 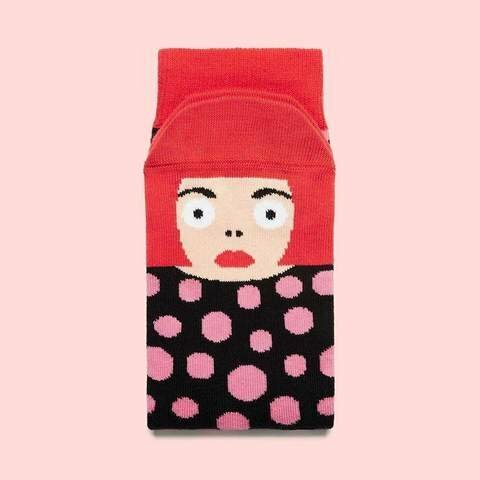 And when you’re creating your next masterpiece Yayoi will be there to help you join the dots. Let her add a splash of vivid colour to your sock-drawer exhibition to brighten up your morning.